By Melissa Leave a Comment - The content of this website often contains affiliate links and I may be compensated if you buy through those links (at no cost to you!). Learn more about how we make money. Last edited November 12, 2018 . With the holiday season rapidly approaching, if you haven’t already done so, now is the time to set the Christmas budget. 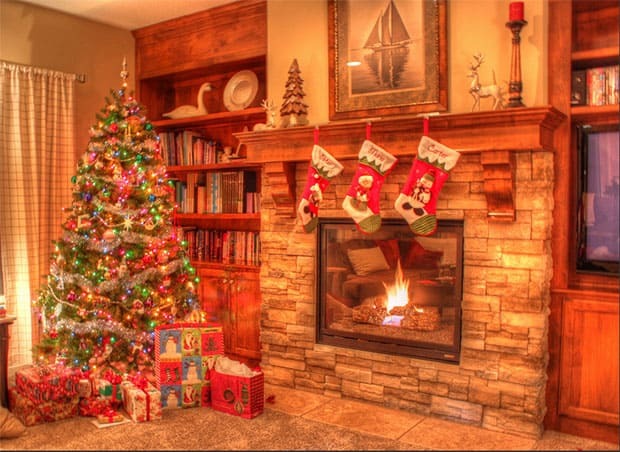 There is probably no greater holiday than Christmas where we feel the need to live up to perceived expectations and keep up with the Joneses. 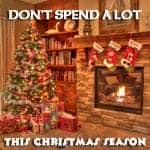 I’m part of a few money related Facebook groups, and the topic of Christmas spending recently came up. I was amazed at the wide variety of amounts people spend on Christmas. Some people spend several thousand dollars on Christmas gifts, while others limit their spending to $200. When you set your Christmas budget, drown out the noise of others and focus on your family and your money situation. First, reflect on last year. How much did you spend? Do you think that amount was too much or too little or just right? Did you go into debt? Then, look at this year’s situation. You may be in a better or worse financial situation. As a rule, my husband and I spend about $100 each on our kids at Christmas. This year, though, we’ve had so many unexpected expenses come up including $6,000 in car repairs over the last three months and over $2,500 in dental work this year. Thanks to these expenses, our budget is tighter than it was last year, so we’re planning to spend about $60 to $75 per kid this Christmas. Well before Christmas, share your thoughts about gift giving with your family. My husband and I have already discussed with the kids that there won’t be quite as much money for Christmas gifts this year. They’ve seen the unexpected money we’ve had to spend this year on car repairs and dental work, and they’re also older, so they understand and have accepted it well. However, if we wouldn’t have had a discussion with them beforehand, they might have been disappointed on Christmas morning when they expect the usual quantity of presents and get less than that. Discussing these matters ahead of time with your family is essential. If you spent too much last year and want to scale down, there are several ways you can do that. Some people give their kids three gifts because Jesus received three gifts from the wise men. Others give four gifts–something they need, something they want, something to read, and something to wear. Limiting the number of gifts in this way automatically helps to limit the amount that you spend. If you’re a people pleaser, you may feel like you have to give gifts to everyone—your child’s teacher, your garbage person, the mail carrier, and on and on the list goes. While giving gifts to acquaintances is nice, it’s by no means required. I was a teacher for 14 years, and while I sometimes received gifts from students, I didn’t always, and I certainly didn’t expect it. If you want to rein in your Christmas spending, limiting gifts in this category can be a great way to do so. My mom has eight brothers and sisters, so when we had a Christmas party, we did a frugal gift exchange between all of the brothers and sisters and their kids. Each person spent just $5 on the person whose name that they drew. While it was nice to get a gift at our big family Christmas party, the time we could spend with family was even better. Don’t be afraid to ask your extended family to do a gift exchange with a monetary cap. You’ll be surprised at the relief you may feel to not have to spend so much money, and by default, a gift exchange takes a lot of the focus off “getting” and puts it on being with family. Another idea is to do something as a family to give back this Christmas, instead of it being all about getting. If you haven’t already done so, now is the time to set your holiday budget and find ways to save before the holiday pressure to spend, spend, spend begins. How do you determine how much to spend on the holidays? Do you buy gifts for acquaintances and extended family? Last Edited: 12th November 2018 The content of biblemoneymatters.com is for general information purposes only and does not constitute professional advice. Visitors to biblemoneymatters.com should not act upon the content or information without first seeking appropriate professional advice. In accordance with the latest FTC guidelines, we declare that we have a financial relationship with every company mentioned on this site.